Dr. Jeffrey T. Miller, currently Heterogeneous Catalysis Group Leader at Argonne National Laboratory, is the recipient of the 2010 F.G. Ciapetta Lectureship in Catalysis Award sponsored by the Grace Davison operating segment of W.R. Grace & Co. and The North American Catalysis Society. The Award is presented biennially in even numbered years and consists of a plaque and an honorarium of $5,000. The award plaque will be presented at the closing banquet during the 2011 Meeting of the North American catalysis Society. Dr. Miller will present lectures at the regular meeting of the affiliated local clubs and society during 2010 and 2011. Dr. Miller is being recognized for his contributions to the scientific literature and to the practice of catalysis. His dedication and intensity in the pursuit of knowledge has led to industrial applications of his inventions and to a large number of scientific papers. His excellent contributions have advanced our knowledge of fundamental catalytic phenomena, while his interactions with academia have enriched the educational experience of many graduate students. His research at BP/Amoco led to the development of several refining and petrochemical catalysts that remain in use. These include catalysts and processes for upgrading of highly aromatic feeds, for toluene disproportionation and transalkylation reactions, and for conversion of waste chemicals to high-value aromatic chemicals and fuel components. Through his academic collaborations, he has contributed to our fundamental understanding of acid-catalyzed hydrocarbon cracking by zeolites and to the synthesis, characterization and function of metal and alloy nanoparticles. He is widely regarded as a leader in the application of X-ray absorption methods during catalysis to probe synthetic pathways, identify active sites, and determine the dynamics of specific elementary steps within complex catalytic sequences. Upon retirement from BP/Amoco, he joined Argonne National Laboratory, where he continues his research on future sources of energy and his pedagogical endeavors in the application of X-ray spectroscopic methods to the study of catalysts and catalytic chemistries. Published on February 17, 2010 . Posted in Award, News. Professor W. Nicholas Delgass (Department of Chemical Engineering, Purdue University) is the recipient of the inaugural NACS Award for Distinguished Service in the Advancement of Catalysis. This Award will be presented every two years to recognize an individual who has advanced catalytic chemistry or engineering through both significant service to the catalysis community and outstanding technical accomplishments. The award includes an honorarium ($5,000) and a plaque. 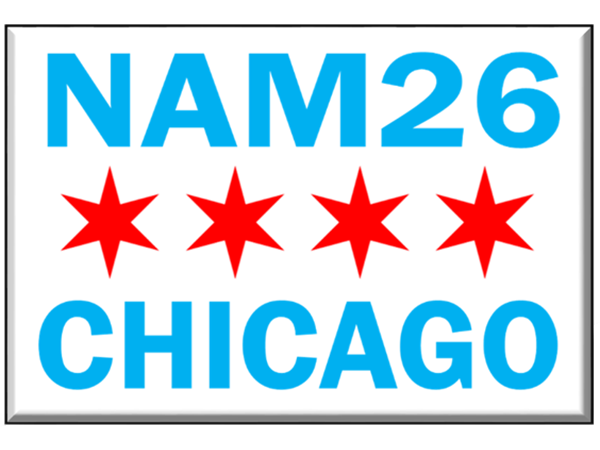 The latter will be presented at the closing banquet during the 2011 NAM in Detroit. The career of Professor Delgass, over its four decades, exemplifies this combination of pioneering contributions to the science of catalysis, dedication and rigor in the education of scientists and engineers, and service to others in the advancement of catalysis. His research achievements include the synthesis of novel catalytic materials, the development of modern spectroscopic methods for catalyst characterization, and the use of rigorous kinetic and spectroscopic methods to elucidate the mechanism of complex catalytic reactions on solids. He is leading a team that is developing and implementing model-based approaches for the design and efficient optimization of new catalysts. Professor Delgass has been a remarkably gifted and dedicated teacher, both in the classroom and in the research laboratory. He has been recognized with the most prestigious teaching honors on the Purdue campus. In his service to students and peers as Associate Head of the School of Chemical Engineering, he has shown a true commitment to mentor and educate the next generation of chemical engineers. His passion for mentoring graduate students and young faculty was recognized with the inaugural College of Engineering Mentoring Excellence Award. Many among our catalysis community, in academia and in industry, have been touched by his thoughtful advice. For many years, he was the zealous guardian and gentle steward of the archives of our discipline, as Editor-in-Chief of Journal of Catalysis. He has dedicated his time and efforts to the organization of the 11th International Congress on Catalysis and of numerous symposia at AIChE, ACS and Catalysis Society meetings. It is a fitting gesture of thanks that our community has chosen to recognize the scholarship and dedication of Professor Delgass with this inaugural award for service. Published on January 6, 2010 . Posted in Award, News. Professor Anders Holmen (Norwegian University of Science and Technology) has been chosen as the recipient of the 2010 Award for Excellence in Natural Gas Conversion. The Award is presented every three years during the International Natural Gas Conversion Symposium to recognize enduring and significant contributions to the science and technology for the conversion of natural gas to valuable products. The previous award recipients are Jack Lunsford, Jens Rostrup-Nielsen, Lanny Schmidt, Enrique Iglesia, and David Trimm. Professor Holmen is being recognized for his achievements in advancing concepts and practical applications of direct and indirect routes for the efficient utilization of natural gas. He has contributed fundamental concepts for the conversion of methane to acetylene in high-temperature short-contact time reactors. His research group has developed and used methods for measuring the dynamics of carbon formation during methane reactions at conditions relevant to industrial practice and for the elucidation of the kinetics and mechanism of partial oxidation of light alkanes. Throughout his career, Professor Holmen has contributed to our understanding and practice of the Fischer-Tropsch synthesis, specifically by unraveling the complex effects of water on reaction rate and selectivity and the role of Co crystallite size and of supports on catalyst reactivity and stability. The award consists of a plaque and a monetary prize, which will presented at the 9th Natural Gas Conversion Symposium (NGCS) to be held in Lyon, France (May 30-June 3, 2010). Professor Holmen will also present the Award Plenary Lecture during this meeting. The selection committee for this Award consists of previous awardees together with several members of the NGCS International Advisory Board. Nominations are considered from a broad cross-section of academic and industrial members of the natural gas conversion community. Published on December 10, 2009 . Posted in Award, News. The Catalysis and Reaction Engineering (CRE) Division of the American Institute of Chemical Engineers (AIChE) is delighted to announce that Rostam J. Madon of BASF Catalysts, LLC has been selected as the recipient of the AIChE CRE Division Practice Award for 2009. This award recognizes individuals who have made pioneering contributions to industrial practice of catalysis and chemical reaction engineering. The candidate must have made important and specific technical contributions, verifiable by means of well-documented evidential materials, to the invention, development, design or implementation of industrial products, catalysts or processes through ingenious and creative application of chemical reaction engineering and/or catalysis concepts. Awardees are selected based on their contributions to the discovery and application of innovative catalysis or reaction engineering solutions to technological problems, and/or commercialization of new products and processes. The award consists of a plaque and cash award of $1,000 to be presented at the Division Reception during the AIChE annual meeting in Nashville, Tennessee. A special session will be held in honor of the recipient at the annual meeting during which he will also present a lecture. Ross Madon has made pioneering contributions of remarkable breadth and depth to the chemistry and engineering of catalytic processes. Early in his career, he guided the field by addressing artifacts in kinetic data using methods that are accepted today as definitive criteria for kinetic control in catalysis. In the process, he brought transition state formalisms for thermodynamically non-ideal systems, first introduced by his advisor Michel Boudart, into the realm of practical catalysis. His contributions to catalyst design for Fischer-Tropsch synthesis and catalytic cracking, two of the most hydrodynamically, kinetically, and molecularly complex reaction systems known, illustrate his unique ability to contribute concepts and approaches to systems that others avoid or merely misinterpret because of their complexity. Ross Madon excels at the interface of chemistry and engineering and his achievements bridge conceptual advances with commercial catalysts and catalytic technologies. Recently, he elucidated the mechanism by which vanadium causes structural degradation of FCC catalysts and used this understanding to minimize its deleterious effect. His studies have provided a definite assessment of the role of ZSM-5 additives in FCC to replace inaccurate or phenomenological descriptions of such phenomena. His kinetic treatments of FCC catalysis brought fundamental chemical insights into a system once considered too complex for such rigor. Ross then used the knowledge to go beyond its scholarly elegance and designed commercial FCC catalysts based on such principles. He is the coinventor and developer of the Reduxion – Maxol® family of FCC catalysts and of the IsoPlus® and Ultrium® families. He coinvented the Flex-Tec® resid cracking catalyst which has been widely and successfully deployed in demanding resid cat cracking processes. He has thrived in industrial settings, but his thought process and conceptual approach is firmly planted in the realm of thoughtful science. He has tackled truly difficult problems and taken them beyond where others could, with elegance and rigor balanced by relevance and impact. Published on June 23, 2009 . Posted in Award, News. The North American Catalysis Society is pleased to announce that Professor Bruce Gates is the recipient of the 2009 Robert Burwell Lectureship in Catalysis. Since 1992 Bruce has been on the faculty of the University of California at Davis, where he has the title of Distinguished Professor of Chemical Engineering. His interests include Catalysis, Catalytic Reactors, Chemical Reaction Engineering, Material Micro Structure, and Sol-Gel Processing. This award is sponsored by Johnson Matthey Catalysts Company and administered by the Society. The award consists of a plaque and an honorarium as well as a travel award to provide the recipient with funds for visiting (until funds run out) any of the 14 local clubs comprising the Society. The award is given in recognition of substantial contributions to one or more areas in the field of catalysis with emphasis on discovery and understanding of catalytic phenomena, catalytic reaction mechanisms, and identification and description of catalytic sites and species. For almost 40 years he has made significant contributions in three areas: the preparation and characterization of surface organometallic complexes, catalysis by strong solid acids, and the kinetics and reaction pathways of hydroprocessing catalysis. In the catalysis by strong solid acids, Bruce both expanded the applications and furthered understanding of underlying mechanisms. More recently, in a series of papers beginning in 1998, Bruce (with Bob Grasselli and Helmut Knözinger) explained the surface chemistry of tungstated zirconias with and without Pt, highlighting the role of surface reduction to W5+ and –OH in generating the active sites for alkane isomerization. Bruce’s contributions to hydroprocessing catalysis are equally notable. His two review articles greatly assisted those requiring introduction to the field; each has been cited in excess of 375 times. The scientific contribution was his recognition (with James Katzer and George Schuit) that complex hydrodesulfurization and hydrogenation networks could be understood in terms of a small number of reactions whose rates could be quantified using model substrates. One supporter remarked that Bruce’s work in metal clusters revolutionized the field of surface organometallic catalysis. Here also he has authored widely read reviews, and several influential, extensively cited papers. Much of this recent work has targeted catalysis by gold clusters or nanocrystals, work characterized by multi-technique correlation of catalytic activity to surface structure, careful interpretation of EXAFS data characterizing surface coordination, and proper consideration of how the catalysis alters the as-synthesized materials. Bruce was an early user and proponent of EXAFS and XANES in catalyst characterization. Many “nanoscience” papers in the literature today follow along paths he pioneered years ago. Finally it should be noted that Bruce has educated two generations of catalytic scientists and industrial practitioners, through his widely used teaching texts (“Chemistry of Catalytic Processes” is a worldwide best seller), the many short courses he helped develop and teach (the one based on this book was taught for over 30 years at the University of Delaware, and at many industrial research centers) and not least through his mentoring of over 130 graduate students, postdocs and visiting scientists. Bruce has been a tireless cheerleader for the field of catalysis and in all his lectures strives for understanding, arousing curiosity, and getting down to the essentials of a problem. He has also been a very active member of the Board of the North American Catalysis Society. Local clubs should contact Professor Gates [bcgates@ucdavis.edu] directly about speaking engagements over the next two years. More information on this award, the awards process, and previous awardees can be found inside the Awards folder on the NACS home page: www.nacatsoc.org. Published on March 22, 2009 . Posted in Award, News. Professor Avelino Corma Canos has been selected for the 2009 Michel Boudart Award for the Advancement of Catalysis. The award consists of a plaque and a monetary prize. The Award recognizes and encourages individual contributions to the elucidation of the mechanism and active sites involved in catalytic phenomena and to the development of new methods or concepts that advance the understanding and/or practice of heterogeneous catalysis. The Award is sponsored by the Haldor Topsøe Company and is administered jointly by the NACS and the EFCATS. More information on this award and the award process can be found in the Awards folder on the NACS home page www.nacatsoc.org. Professor Corma will also be asked to give plenary lectures at the San Francisco NAM meeting in June 2009 and the EuropaCat 2009 meeting in Salamanca, Spain. Avelino’s grasp of concepts and of fundamental needs has been illustrated in his recent attempts to synthesize and use well defined-single-isolated sites to establish structure-function relations and to establish the connections among homogeneous, enzymatic and heterogeneous catalysis, a conceptual framework that put forward in a seminal paper in Catalysis Reviews, 46 (2004) 369 – 417. One of these approaches involves the selective attachment of organometallic complexes onto tailored substrates that act not only as scaffolds but also as active participant in the activation of reactants and in the stabilization of transition states. These materials provide significant improvements over homogeneous versions of these active complexes through the active participation of the inorganic scaffolds, as shown in some of his recent publications, in which these concepts have been put into practice (e.g. Angew. Chem. Int. Ed. 45, 3328 (2006); J. Catal. 224, 170 (2004); Angew. Chem. Int. Ed. 46, 1536 (2007); Adv. Synth. Catal. 348, 1283 (2006)). In another example of his many contributions to catalysis, he and his research group have not only addressed the design of new zeolites materials for conventional reactions of hydrocarbons, but also discovered new chemistries and applications for these materials in the synthesis of petrochemicals, pharmaceuticals, and fine chemicals. The ITQ-type materials have become ubiquitous in the literature; they represent new catalyst compositions, currently numbering about 50 and consisting mostly of microporous solids, all discovered within the Corma research group. His novel catalysts for paraffin isomerization are widely used in practice because of their unprecedented sulfur resistance and high stability and selectivity. His collaborations with industry have led to new zeolites with significant potential in catalytic cracking because of their stability and desirable product distributions. Professor Corma has published extensively about applied aspects of heterogeneous catalysis related to refining technology. These publications have recently explored the kinetics of organosulfur reactions during cracking reactions and the details of hydroisomerization catalysis on acid and bifunctional catalysts, all of which are of critical importance in sustainable development, efficient energy use and responsible management of the environment. His design of well structured oxidation and hydrogenation catalysts has lead to new catalytic routes for the chemoselective of lactones (Nature, 412, 423 (2001); Chemoselective hydrogenation of substituted nitroaromatics (Science 313, 332 (2006), Chemoselective synthesis of azocompounds (Science 322, 1661 (2008). He is now actively patenting and publishing on well defined multisite solid catalysts for cascade reactions. In addition to his many outstanding research accomplishments, Avelino’s continued leadership in the field has been recognized by numerous awards, including the Francois Gault Award of the European Catalysis Society (2001), the Eugene Houdry Award of the North American Catalysis Society (2002), the Donald Breck Award of the International Zeolite Association (2004), and the Gabor A. Somorjai Award for Creative Research in Catalysis (2008). Published on December 17, 2008 . Posted in Award, News. It is my pleasure to announce that Dr. Jeffrey S. Beck of ExxonMobil Research and Engineering Company, Clinton, NJ (USA) is the 2009 Eugene J. Houdry Awardee. This award is sponsored by Süd Chemie and administered by The North American Catalysis Society. The purpose of the Award is to recognize and encourage individual contributions in the field of catalysis with emphasis on the development of new and improved catalysts and processes representing outstanding advances in their useful application. The Award consists of a plaque and an honorarium. Further details about this Award and its history may be found in the Awards Folder of the NACS website, www.nacatsoc.org. Among his many accomplishments, Jeff was co-inventor of M41S, an entirely new class of mesoporous molecular sieves. M41S materials represent a breakthrough in ultra large pore molecular sieve technology. Utilizing strategies gleaned from surfactant chemistry, Jeff demonstrated how to manipulate the synthesis of these materials to tailor their pore size from 20 to 100 Å. He also demonstrated that the interactions between surfactant templates and reaction conditions in these systems could be manipulated to produce either zeolitic or mesoporous materials, thus illustrating the possibility of either molecular or supramolecular templating. Discovery of these materials is recognized as a major innovation throughout the scientific community. These silicates are applicable to a wide range of applications in catalysis, separations and as host/guest materials. This work was awarded the 1994 Donald W. Breck Award by the International Zeolite Association. Another major achievement includes Jeff’s seminal work on preparing ex-situ selectivated catalysts which laid the groundwork for the ExxonMobil PxMaxsm process (selective conversion of toluene to p-xylene, the precursor to terephathalic acid and polyesters), which was recently recognized with the ACS Heroes of Chemistry Award. His research in the “molecular engineering” of zeolites and the interplay between reaction pathways, kinetics, and mass transport in microporous materials led to several commercial processes for the selective production of para-xylene. Jeff’s fundamental studies enabled him to tailor the diffusion properties of the catalyst by using novel nano-coating techniques. He carried out detailed kinetic and mechanistic studies to design catalysts for selective production of para-xylene in ExxonMobil processes such as PxMaxsm and XyMaxsm (awarded the 2003 Thomas Alva Edison Patent Award by the Research and Development Council of New Jersey), and his findings also played a key role in the commercial manufacture of these catalysts. These discoveries have been deployed worldwide in more than 20 commercial units for para-xylene production, with others planned, and have been recognized not just by their rather significant economic impact, but also for their environmental benefits by reducing the energy required to produce para-xylene and their societal benefit in enabling the lower cost production of the key component used in the production of polyethyleneterephthelate (PET), one of the world’s most widely used polymers. Jeff has also played a key role in bringing to ExxonMobil new research tools to further increase capabilities to efficiently carry out research and development of novel catalytic technologies. He was a key member of the team that established a broad ExxonMobil-Symyx alliance in High-Throughput R&D (HT R&D). With Jeff leading the effort, these new HT R&D tools, along with advanced modeling efforts, are successfully being implemented at ExxonMobil and have yielded innovations that have been commercialized in the refining and lubricant areas. Jeff’s current role at ExxonMobil is manager of Corporate Strategic Research of ExxonMobil Research and Engineering Company, with overarching responsibility for upstream, downstream, and chemicals long range research for the entire Corporation. Published on May 28, 2008 . Posted in Award, News. The Nobel Prize in Chemistry for 2007 was awarded for groundbreaking studies in surface chemistry. The Award acknowledges the impact of Professor Ertl’s catalysis related work upon the semiconductor industry. Gerhard Ertl has founded an experimental school of thought by showing how reliable results can be attained in this difficult area of research. His insights have provided the scientific basis of modern surface chemistry, especially applied to catalysis: his methodology is used in both academic research and the industrial development of chemical processes. The approach developed by Ertl is based not least on his studies of the Haber-Bosch process, in which nitrogen is extracted from the air for inclusion in artificial fertilizers. This reaction, which functions using an iron surface as its catalyst, has enormous economic significance because the availability of nitrogen for growing plants is often restricted. Ertl has also studied the oxidation of carbon monoxide on platinum, a reaction that takes place in the catalyst of cars to clean exhaust emissions. Published on October 26, 2007 . Posted in Award, News. Congratulations to Professor Tobin J. Marks, who on May 29, 2007 was one of only eight scientists awarded the 2005 National Medal of Science by President George W. Bush. The National Medal of Science was established by the 86th Congress in 1959 as a Presidential Award to be given to individuals “deserving of special recognition by reason of their outstanding contributions to knowledge in the physical, biological, mathematical, or engineering sciences.” In 1980 Congress expanded this recognition to include the social and behavioral sciences. The National Science Foundation administers the award; for more information about the National Medal of Science please visit www.nsf.gov/nsb/awards/nms/medal.htm. A Committee of 12 scientists and engineers is appointed by the President to evaluate the nominees for the award. Since its establishment, the National Medal of Science has been awarded to 425 distinguished scientists and engineers whose careers spanned decades of research and development. Marks’ research focuses on the design, synthesis and in-depth characterization of new substances having important chemical, physical and/or biological properties. His work is credited with having major impact on contemporary catalysis with seminal research in the areas of organo-f-element homogeneous catalysis, metal-ligand bonding energetics, supported organometallic catalysis and metallocene polymerization catalysis. Tobin joined Northwestern in 1970, and is a leader in the development and understanding of single-site olefin polymerization catalysis (now a multibillion dollar industry) as well as in the study of new materials having remarkable electrical, mechanical, interfacial and photonic properties. He designed a co-catalyst that led to what is now a standard process for producing better polyolefins, including polyethylene and polypropylene. Found in everything from sandwich wrap to long underwear, these versatile and inexpensive plastics are lighter in weight and more recyclable than previous plastics. In his molecular optoelectronics work, Marks designs arrays of “smart” molecules that will self-assemble into, or spontaneously form, structures that can conduct electricity, switch light on and off, detect light and turn sunlight into electricity. These structures could lead to the world’s most versatile and stable light-emitting diodes (LEDs) and to flexible “plastic” transistors. Published on June 15, 2007 . Posted in Award, News. Professor Gabor Somorjai of the University of California at Berkeley was selected as the ACS Priestley Medal Awardee for 2008. The Priestley Medal is the highest honor of the American Chemical Society (ACS) and is named for Joseph Priestley, who reported the discovery of oxygen in 1774. Gabor is receiving this award, which will be presented at the spring 2008 ACS national meeting, “for extraordinarily creative and original contributions to surface science and catalysis.” Widely recognized by his peers as the father of modern surface science, he has authored more than 1,000 scientific papers and three textbooks on surface chemistry and heterogeneous catalysis, and has mentored more than 300 Ph.D. students and postdoctoral fellows. Published on June 14, 2007 . Posted in Award, News.